Mobile Home Park Asset Manager Rick Bloom visits our communities every week. Although they are spread throughout Southern California, he can visit 10 of the 12 sites in a single day. 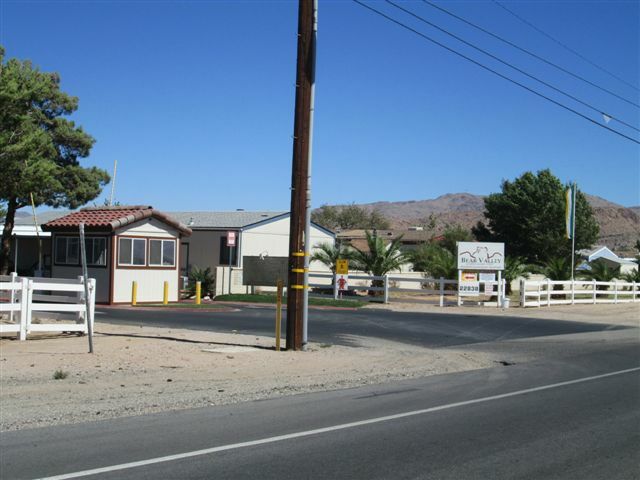 Bear Valley Mobile Home Park in San Bernardino County is a Westland community on the outskirts of Apple Valley. Surrounded by beautiful mountain views, these homes are situated in a peaceful quaint location. “I make myself available to visit each of the Mobile Home Parks at least once a week. By visiting the sites, I get to see what my managers need and work out how we can find solutions together,” Rick said. Today, Rick is checking in on a recent addition of the Bear Valley Mobile Home Park, an upgrade to the sewage system. “As occupancy has grown it put a strain on the system, with larger refuse potentially overtaxing the system. The finished catch system received a thumbs up from the engineering company that maintains the sewage system. Rick explained: "They were so impressed they actually want to use our product on all their jobs."